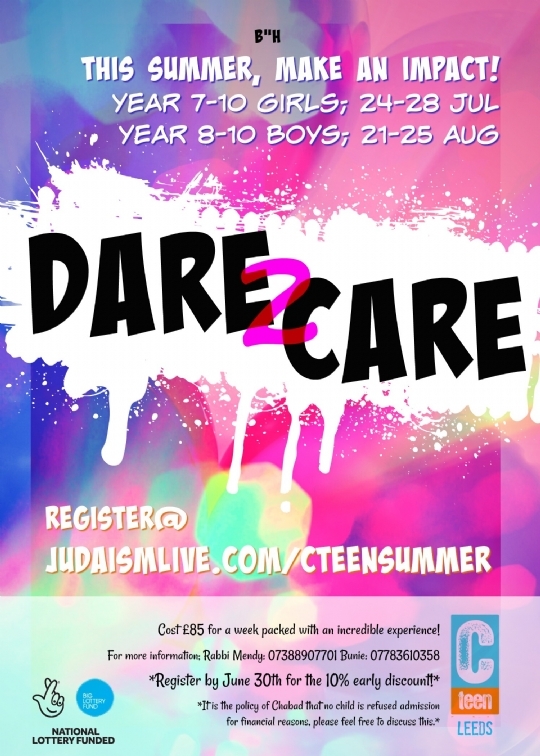 Dare-2-Care offers a week-long blend of activities which gives an opportunity for the teenagers to see Leeds Jewish Community life in action and to become a participant. Inspiring the Community Leaders of tomorrow. 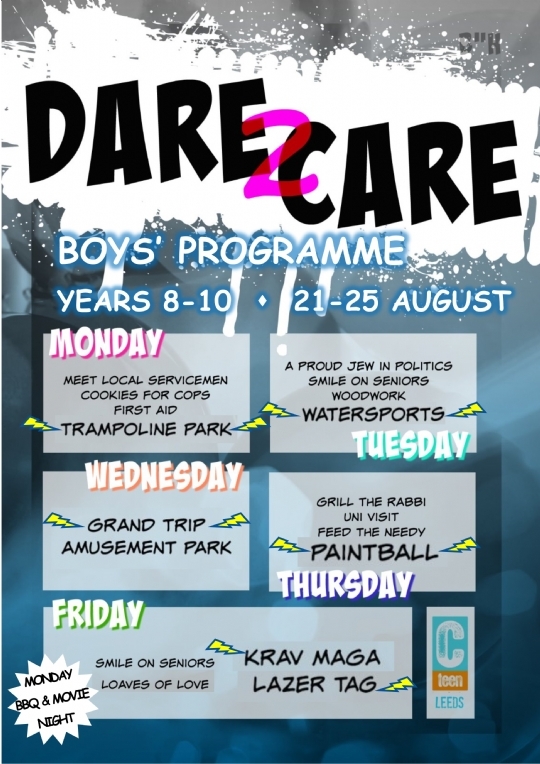 They will meet community leaders, experience hands-on community care and still have time for a full programme of recreational activities and trips. Our teenagers need constructive ways to utilise their creative activities. 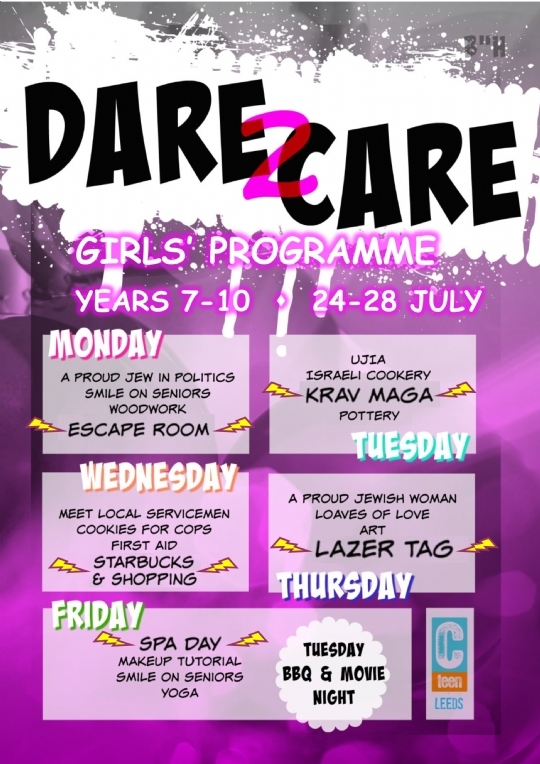 We feel this unique experience will give them a healthy focus on the good Jewish values that we endeavour to instill in them, as well as encouraging them to take on leadership roles in the future. It is the policy of Chabad Lubavitch that no child is refused admission for financial reasons. Please feel free to discuss this. There are limited places, so please book early to avoid disappointment.